Holiday park near Saint-Raphael on the Côte d'Azur. Côte d’Azur | The azure-blue sea surges against the fine sandy beaches and the waterside promenades of the coastal resorts. 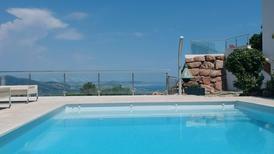 Experience the splendour of the Côte d’Azur with a holiday home near the beach. 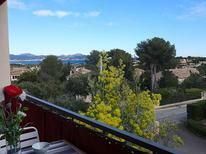 Apartment with a view of the bay of Villefranche-sur-Mer. Mediterranean coast | With these holiday houses it is explicitely allowed to bring pets so that your faithful four legged friend can also enjoy a relaxing and eventful holiday. 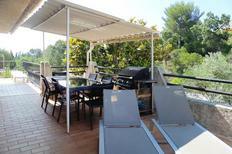 Apartment for up to four people in Port Fréjus. A holiday house on the Côte d'Azur costs on average USD 991 in the cheap travel period and USD 1,768 in the peak season per week. These details are of course in relation to the house and not per person as well as includes the obligatory additional charges. The French Riviera (the Côte d'Azur, in French), located on France's Mediterranean coast, is legendary as a glamorous holiday destination. From your own holiday home in the French Riviera, you can easily explore this stretch of coastline, which runs approximately from Toulon to Monaco, and its stunning beaches, historic villas, and fabulous towns and cities. The region has a lot to offer many different types of visitors, but particularly travellers who appreciate luxury and glamour combined with stunning coastal views. 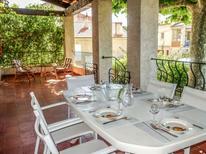 There is much to see and do from your holiday home in the French Riviera. Southern France is rich in history, blessed with beautiful coastlines, and offers some of the finest dining and most delicious food in the world. All of this makes the region a fabulous destination for luxury-seekers, history-lovers, couples, and anyone who enjoys ample culture under the sun. Once you rent a holiday apartment in the French Riviera, you will be well positioned to visit a range of different sights. Just outside of Nice, for example, you will find the Villa Ephrussi de Rothschild, a spectacular property built in the early 20th century by the Rothschild family. Along with the stunning house and gardens, the villa is home to a fine collection of art. You can also head up to the picturesque village of Eze, which is perched on a hilltop with stunning coastal views. Finally, you cannot ignore the beaches of the French Riviera. Particular favourites include the sandy beaches around Cannes such as Macé Beach and Zamenhof Beach. This region is a perfect destination for couples, with plenty of romantic activities and excursions available. Other than relaxing on your own in your holiday home on the French Riviera, you could visit the serene gardens at Cap-Ferrat for a romantic stroll. Or head to the charming fishing village of Menton, a picture-perfect spot which was strongly influenced by Italian architecture, thanks to its location very close to the Italian border. A visit to the French Riviera is not complete without sampling the local cuisine. 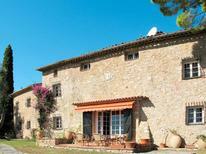 Food here is characterised by the flavours of Provence, such as hearty stews, fresh seafood, and garlic. Particular specialities are ratatouille niçoise, a dish of cooked vegetables, and salade niçoise, a salad of tuna, egg, and fresh greens. The French are also known for their local culinary products, from cheeses and pâté to croissants and wine. Visit the markets in Nice, Cannes, or Toulon to buy fresh produce which you can easily put together at home in your French Riviera holiday apartment. 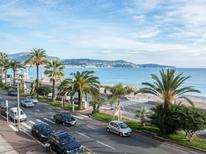 Nice is the largest city on the French Riviera and the region's transport hub. This long-time resort town is famous for its old town, pebbly beach, restaurants, and museums. Cannes is best known for its film festival but is also a beautiful coastal town, with luxury hotels and restaurants and boutique shopping. 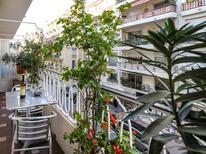 Cannes also offers easy access to a number of beautiful sandy beaches and picturesque islands. St Tropez has a long history as a mecca for artists, but today attracts the world's rich and famous thanks to its historic port, fine beaches, and thriving nightclub scene. If travelling from the UK, you can reach your holiday home in the French Riviera easily by car, by plane, or even by train. There are daily flights from London and other major UK cities to Nice Cote d'Azur airport. The trip from London to Nice takes around two hours, and once arrived you can rent a car at Nice Airport or arrange other transport to take you to your destination on the French Riviera. If you prefer to drive your own car, you can easily do so by taking your car to France via the Eurotunnel. Once you arrive on the French side of the tunnel, it will take you around five hours to drive to the French Riviera, although this depends on your exact destination. If you don't fancy all that driving, you also have the option to catch the Eurostar train, then transfer to France's train network and catch the high-speed TGV train to Nice. The best time to rent a holiday home in the French Riviera are the shoulder seasons of May to June and September to October. During these months, the weather is generally warm and sunny, but without the crushing crowds of July and August, which can make accommodation scarce. The balmy Mediterranean climate of this stretch of coastline means winters are mild and snowfall uncommon, although winter months tend to be colder on the western end of the Riviera, around Toulon. Temperatures are warm but rarely unbearable in the warmest months of July and August, when pleasant sea breezes make this time ideal for relaxing on the beach. Along with its stunning sights, attractions, and cuisine, the French Riviera is renowned as the home of the Cannes Film Festival. Usually held in May each year, this is one of the world's most important film festivals, and draws the many of the industry's biggest names. If you are in Cannes around this time, there's a chance you may run into any number of A-list actors, models, and directors. As a visitor, you will unfortunately not be able to access most of the film screenings as these are invite-only for industry professionals. However, the festival also puts on public screenings each year, and there are many other events associated with the festival to enjoy.